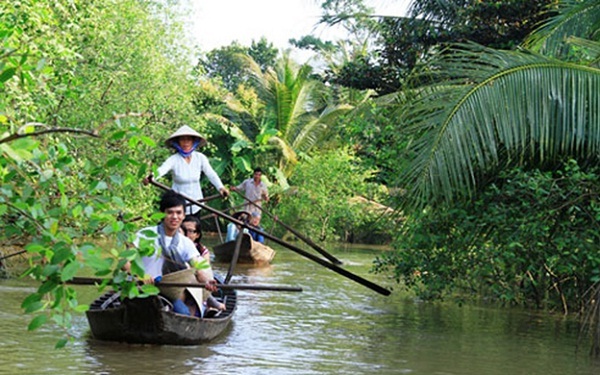 A province in the Mekong Delta, about 70 km from Ho Chi Minh City to the north, Tien Giang is famous for lush fruit orchards. Besides, there are many interesting places to discover. Thoi Son islet aka roller is shaped like “dragons flanking” in the Imperial court, possesses the “most” of the old high, large area and also be beautiful, harmonious in “Tu Linh “(Long, Ly, Quy, Phung). Leaving Thoi Son islet, visitors to the big boats to cross Con Phung, where relics by directing Mr. Nguyen Thanh Nam created since the 1960s. Boats to paragraph Rach Gam, Xoai mut – the mark of victory of hero Nguyen Hue Siem destroy years of hosts. Con Phung many relics as directed Coconut Peace Tower, Dragon field, South Korea Buddhist temple and the port gate. Peace Tower is a tower with exotic architecture, where he directed Coconut sits teaching experience and spread the religion law. They said Cai Be is the largest wholesale market in the Southwest region. Unlike floating markets of other provinces in the Mekong Delta, Cai Be floating market is meeting day and night on a large scale. Goods are varied and plentiful. After visiting the floating market, a boat trip on the river discovered by Cash or wool between small creeks, cool coconut ball equally as interesting. 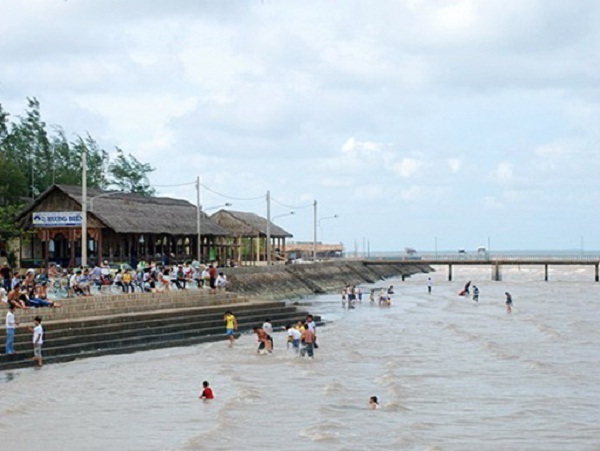 Tan Thanh beach is far from Go Cong Dong district, My Tho city about 50 km to the east, along Highway 50. Featured here is the ocean black sand beach, murky sea. People here took advantage of this Sea clams. At every sunset at high tide to reveal fine black sand vast, far-seeing you will see black streaks undulating flecked, which is the group of people split away raking clams, snails. The most interesting when people earn trophies, boiled clam meat eating on site very sweet and delicious. 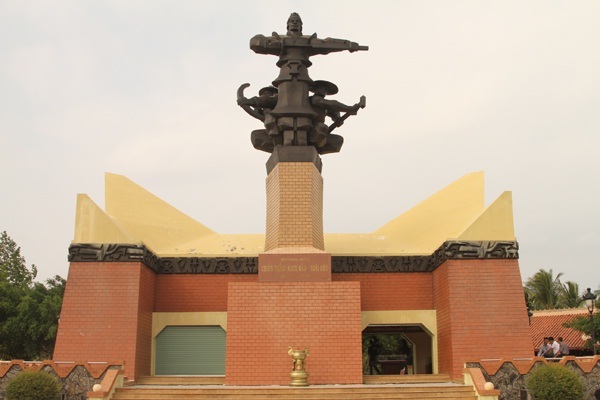 Unique sights, but little attention is of Tien Giang, Dong Tam Snake Farm, where the center is recognized as a record of the museum’s first solid and is the repository of many of our country most solid template. 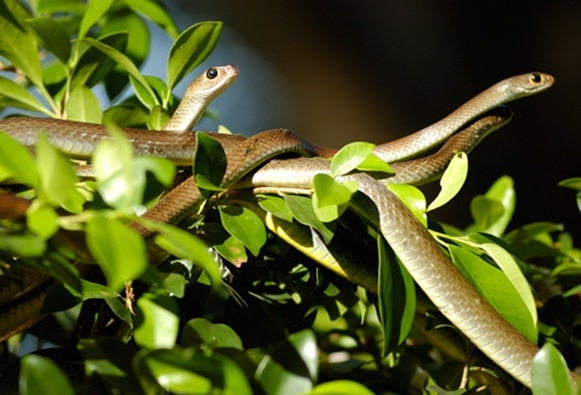 To visit the snake farm, you will discover lifestyle occasions, reptiles living familiar but no less dangerous. In addition, you also have the opportunity to admire the solid specimen collection, see how their venom or learn about methods to create vaccines or medications snakebite.